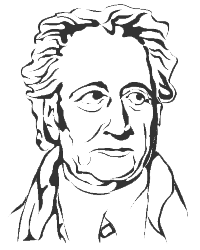 Philosophy: Our vision is inspired by Goethe – To equip children with roots and wings. We use a model resulting out of research at Stanford and the University of Kassel, Germany. Education is more than just going to school. You continuously learn from everything you do and this is the potential that Toywheel is trying to unlock — using contemporary tools to give kids the possibility to experiment in a creative and imaginative way. Children look for places and possibilities to learn how to understand the world in order to be able to shape it in the future. The world in continuously geting more complicated and more difficult to understand. Nowadays this takes place not only physically but also digitally, presenting a challenge for children and adults alike. Children look for suggestions on how to find answers to their questions about the world. They seek a relationship between their experiences in the digital world to activities in the real world. Parents look for solutions that help them solve their own problems as well as that of their children in a creative way. Values: We judge ourselves by how valuable it is for children. Our core values build the foundation for fun & meaningful products. We use imagination as an instrument to change the world while fostering communication between parents and children. We believe that our design aesthetics enrich the world making it a more beautiful place. Creativity is the foundation for everything we do. With the simplicity of our products, projects and structures we want to show that not everything that makes sense has to be complicated. By inspiring all generations and paying attention to the educational quality and level of entertainment we differentiate us from others. Our love for what we do strengthens us and bring us closer. Being honest towards ourselves and our children is important for us. We are brave enough to go new ways! Offering: The best way to discover the world is by playing and making things! Toywheel creates new possibilities for children to not only experience things, but also play an active role in shaping it. Toywheel is a place for creative education, using the digital world to understand the real world. Toywheel creates a network between the real and digital world, motivating children and encouraging them to acquire skills as part of a creative process. Toywheel is a creative education- and learning platform for three- to twelve-year-olds, their parents and anyone that wants to expand their knowledge and skills. Toywheel offers original, inspiring and diverse possibilities to learn in the following six fields: »Math & Logic«, »Nature & Technology«, »Aesthetics & Creativity«, »Communication & Language«, »Physical Education & Sport« und »Society & Ethics«. Our offering challenges children of a specific ages in the fields mentioned above. Children are motivated to play, experiment, think, perceive, illustrate, express ones-self and communicate. Knowledge: We assist parents in finding the right way to engage their child long-term, as we know that this makes the difference. Toywheel knows that children develop differently. Children go through different phases of development and not all pass them at exactly the same age. Some are quicker when it somes to language skills, others may be quicker to express themselves in a symbolic way, while others again have more skills in regards towards physical activities. Toywheel takes these differences into account in the variety of projects. Toywheel also takes into account that children use various types of media and ways to interact in order to make learning fun and desirable. Playing in a sandbox or at a playground is not at all less important than learning how to use digital media or read a book. It is without a doubt important to take specific tools, places and timing into account. The essential part is the content and inspiration that draws children into a topic and assist them while they discover the world. Toywheel reaches children through digital media while giving them a way to engage in activities. Toywheel wants to create a competent and responsible way to use digital media and link it to the real world.